Even as companies are vying for gender diversity, they struggle to fill talent gaps created in the event of 'maternity continuum' of women employees, says a report. Companies face big challenges in such cases with women workforce as they find it difficult to arrange alternative resources to replace with. The biggest concern most managers (95 per cent) have that if an employee announces her pregnancy then how to build an alternate resource equivalent in talent to fill in for her unanticipated temporary absence, according to AVTAR Group's Viewport 2018, a 'Maternity Management in Corporate India' report. Maternity continuum refers to the phases of maternity that a woman professional goes through in the event of pregnancy. While, 88 per cent of women felt that in the absence of guidance and support from mentors, managing uncertainty was a huge challenge, especially when there were health challenges involved. Viewport 2018 report is an outcome of a focus group discussion conducted among 275 working mothers and 150 corporate leaders in India by diversion and inclusion consultants AVTAR Group. The report further revealed that companies also face uncertainty on whether or not the employee will continue in the organisation after announcing her pregnancy. "Apprehensions about her health and the need for a temporary succession plan to ensure business continuity are amongst their worries," the report said. About 61 per cent of managers felt that this was a huge challenge impacting business continuity, especially when the woman employee was in client facing roles or was not an individual contributor. While 59 per cent of women said the aftermath of unplanned leaves was huge and put additional stress on them, it said. Employers feel unsure of acceptance of the employee on her return after pregnancy and are sceptical if she will return to the same role or not. The companies felt that managers also have to manage her workload which means delegating work of the employee to others in the same team that if not well planned might result in overloading them, the report added. 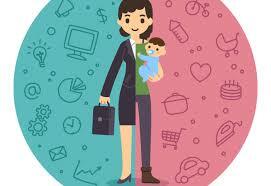 It revealed that managers also find themselves in dilemma on when to start preparing an employee to return from maternity. "The reintegration process also poses the challenge of preparing her team that is now getting used to not having her around," it added. So, it said, to make reintegration smoother, managers usually end up reducing maternity returners' responsibilities or change their roles that would ease up their work-related pressure. About 71 per cent of managers said in the wake of insufficient support from organisations (especially around child care), this challenge made the reintegration phases less smoother. In some cases, the report revealed that managers end up overlooking under performance of a new mother without communicating the same to her, not wanting to add more to their work-life integration worries, even at the risk of hampering team effectiveness. Further, it said that while managers are open to provide the option of flexible working hours to maternity returners, it becomes a challenge if it is not supported by organisational policy. In roles that require team effort, the manager also needs to sensitise other team-members about collaborating with this flexible worker, the report added.